Summer is here! Well actually it's technically Autumn here but Melbourne has decided to heat things up finally. Speaking of things heating up, who else is ridiculously excited for the new China Glaze Lite Brites Collection? I nearly started doing cart wheels when I saw that nailsupplies.us had the collection for sale. In my over excitement I didn't actually realize that only six of the twelve polishes were available. 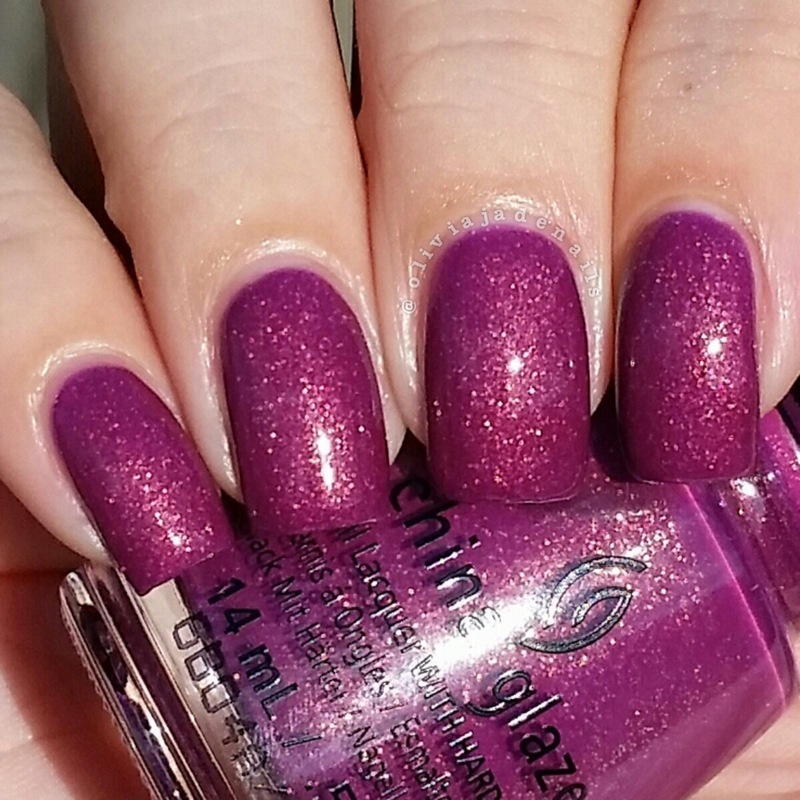 I've been stalking the sites daily to find the other six polishes but I am not having any luck yet. I will definitely be grabbing them as soon as I can find them and I will do a full collection post. So keep your eyes peeled for that. Right, now lets get into the six polishes I do have! *EDIT: I now have the full China Glaze Lite Brites Collection. You can see my swatches and review here. I Got A Blue Attitude is described as a blue-violet. At first I thought this was a creme polish, however these is the most subtle a tiny shimmer to it. It's actually quite hard to see in person and impossible to capture on camera. In fact, my camera really struggled to capture this polish accurately. It automatically changed it to blue. 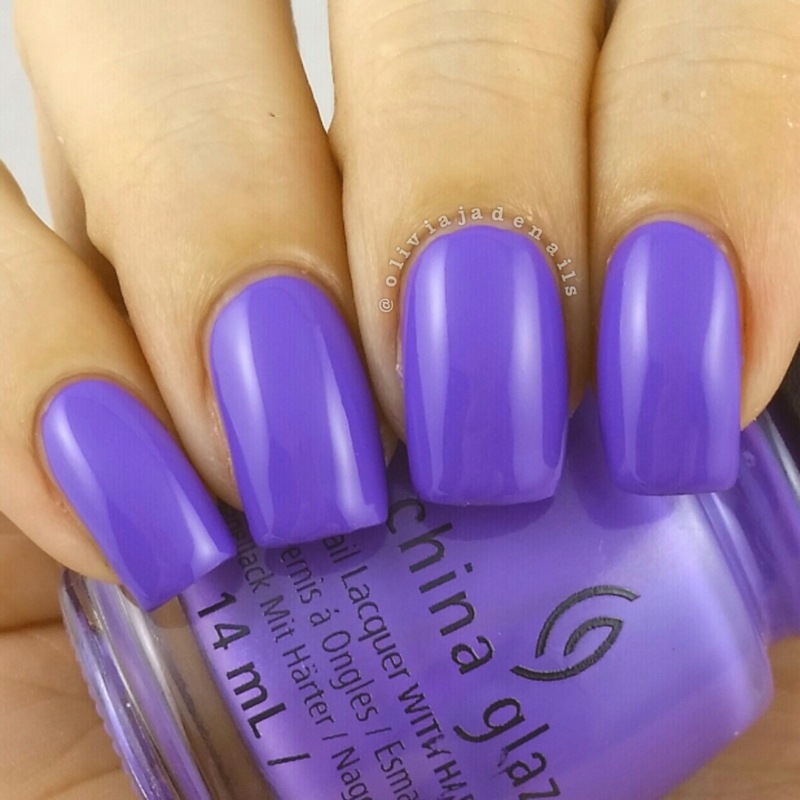 But depending on the light this polish can either look like a blue or purple. It's absolutely stunning and the formula is amazing. It is super close to being a one coater. My swatch shows two coats. 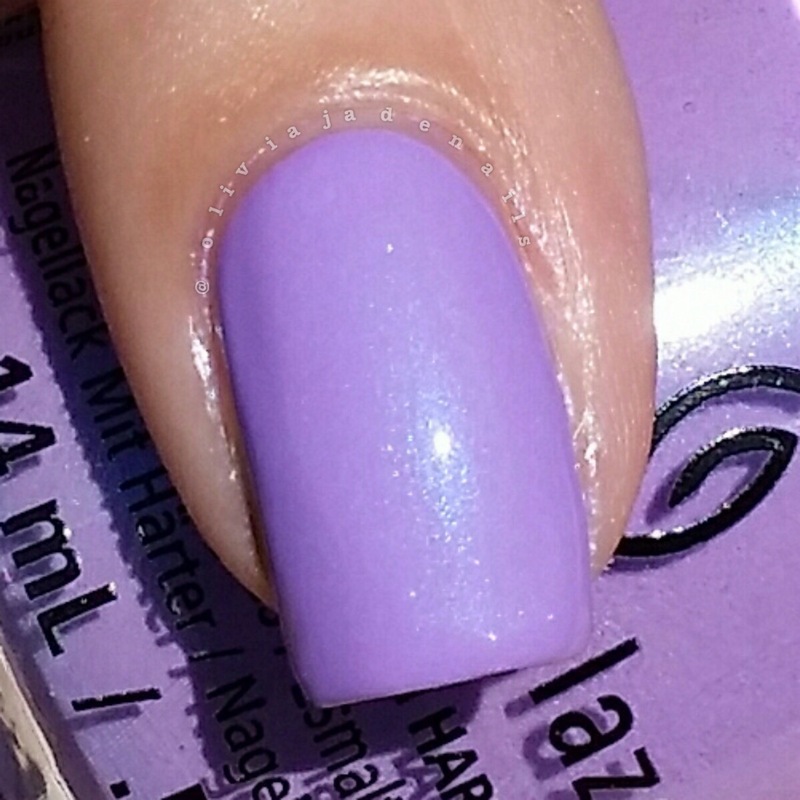 Let's Jam is a lavender creme with a blue sheen. Gorgeous colour and the formula is amazing. It applies so evenly and is close to being a one coater. The blue sheen gives it a real glow about it in person. I used two coats for my swatch. 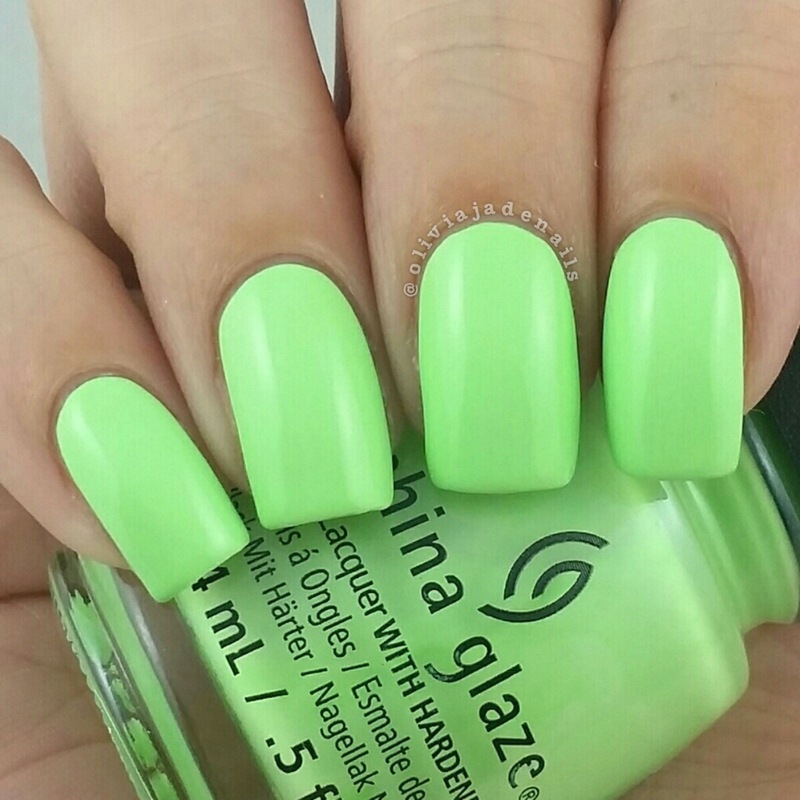 Lime After Lime is a bright green creme. Love this one! Again the formula is amazing and it's close to being a one coater. And seriously look at that colour. My swatch shows two coats. 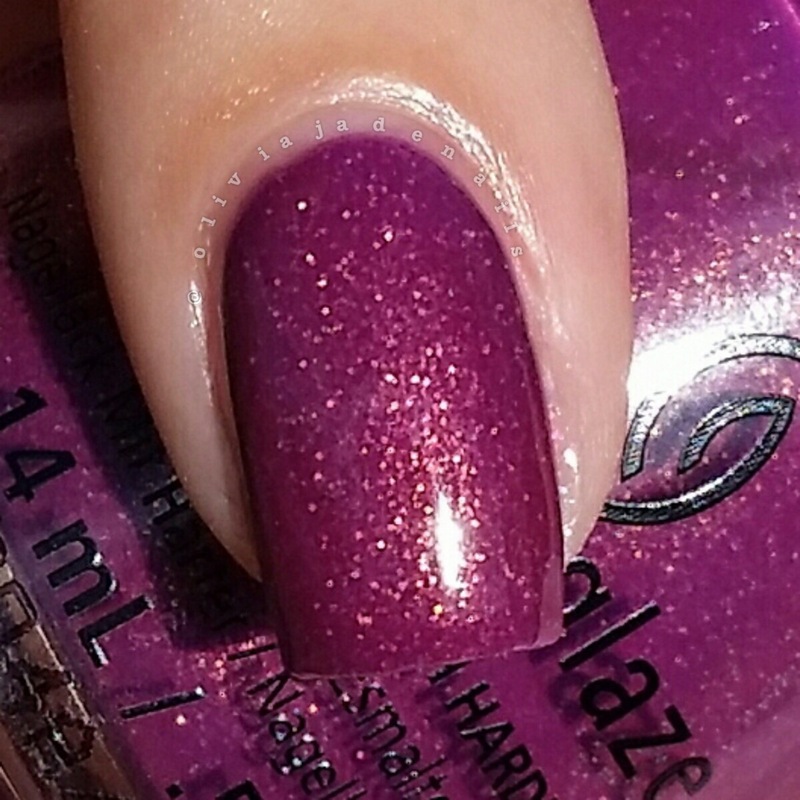 We Got The Beat is a red toned purple with gold glitter. 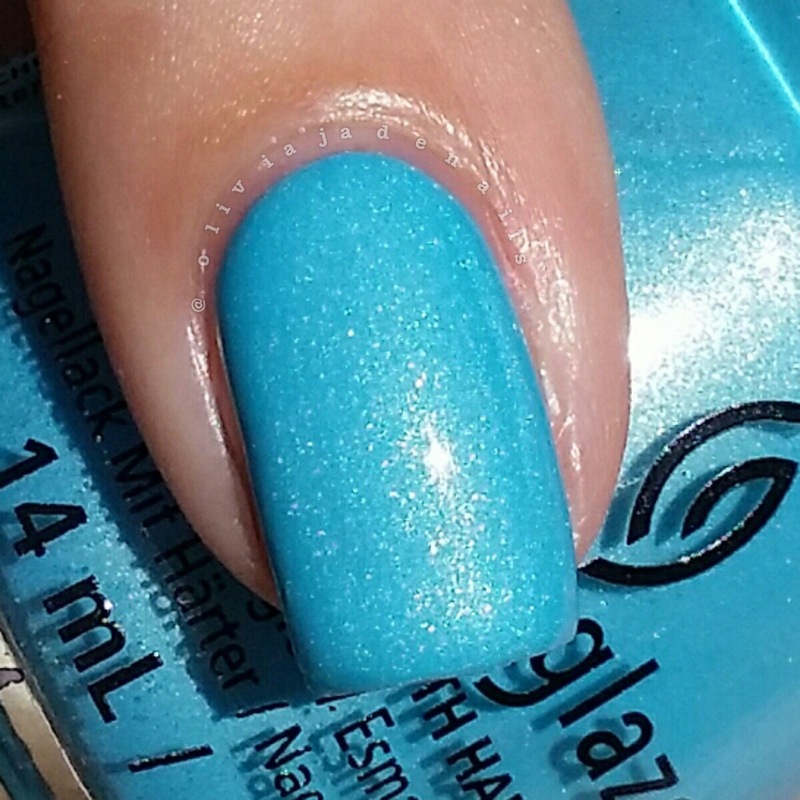 Now I like this polish but I am not sure it really fits in this collection. Well not this half of the collection anyway. 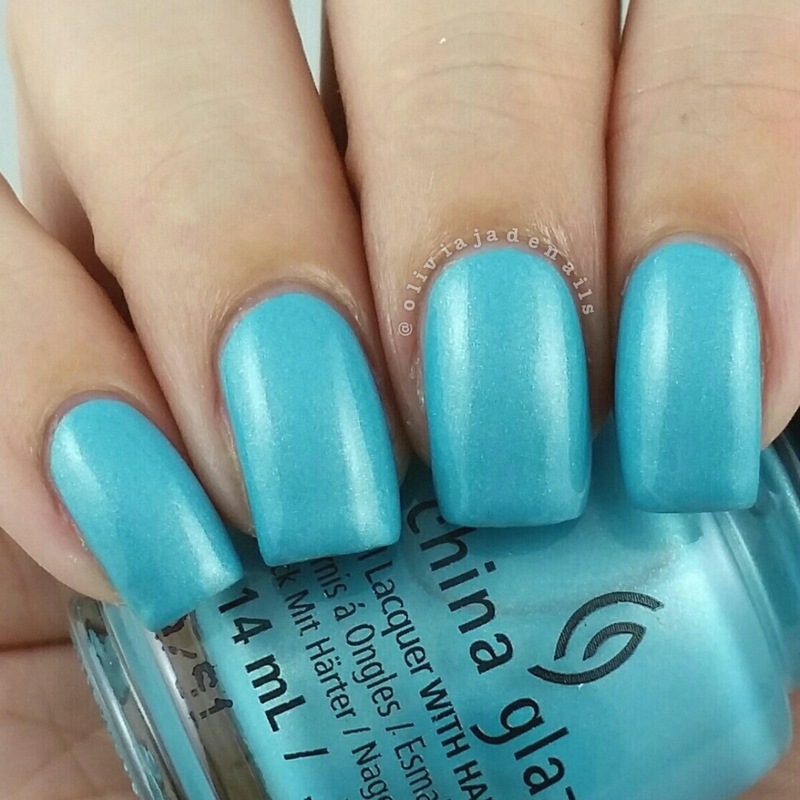 The formula is easy to use but it is a little sheer in colour. I found that I still had a very slight visible nail line in some lights after two coats, so added the third coat. Most people would probably be happy with just two coats. 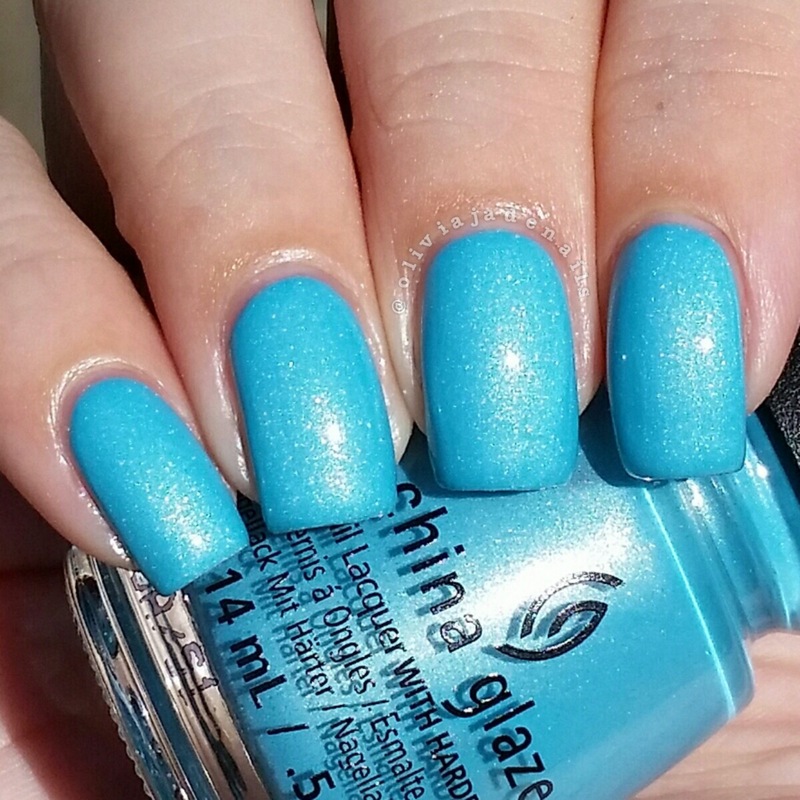 What I Like About Blue is a blue turquoise with golden shimmer. Gorgeous colour and the formula is amazing. It applies evenly and is nearly opaque in one coat. I used two coats for my swatch. Whip It Good is a bright yellow creme. I love this one. 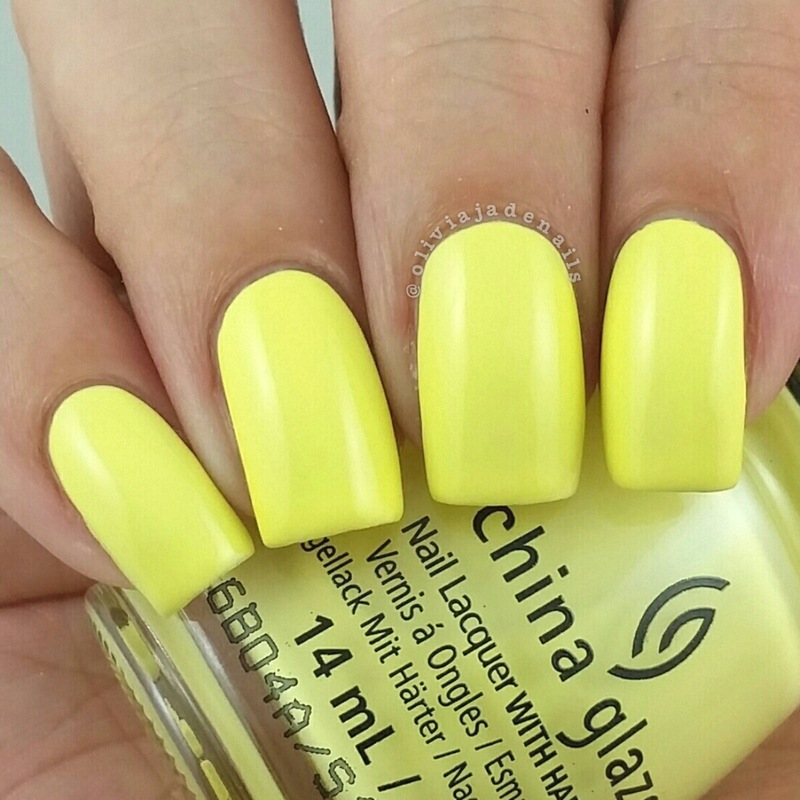 Not only is the colour amazing (it's not too pale and it's not a completely in your face neon yellow either) but the formula is awesome, especially for such a light colour. I was honestly expecting it to be streaky and needing three coats. Seriously, it applies so evenly and is opaque in two coats. 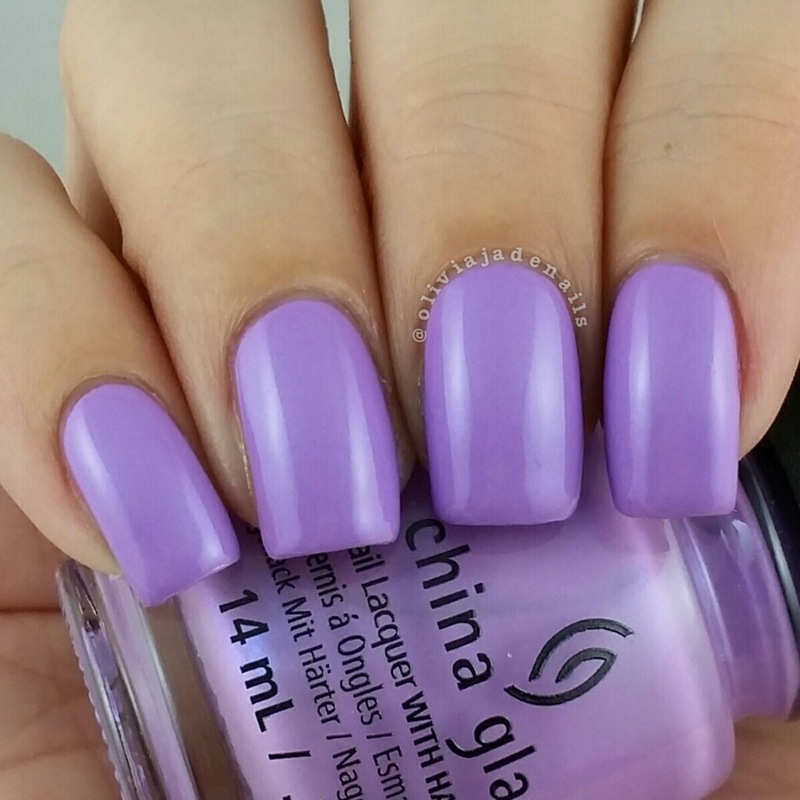 I think China Glaze have done an amazing job with these polishes. The colours are gorgeous and the formulas are amazing. I wish that all polishes had formulas like these. I can't wait to get my hands on the other half of this collection. If you would like me to do any comparisons of these polishes, just let me know and I'll try and get some done. Great review! So excited about these! I'd love a comparison of the purple with It's Shore Bright and the green with Grass is Lime Greener. I know they're vastly different but I am interested to see by how much. Would you class this as a nein collection? Can't wait for your swatches of the second half! They are close to being neons (except for We Got The Beat - that's not neon at all). I think Lite Brites is definitely the perfect name. They sit somewhere in between pastel neon and a neon if that makes sense. I have found the second half from HB Beauty but I have no clue how long to expect to wait. I have never ordered from them before. I will do swatch comparisons of those polishes for you. They definitely aren't dupes. Glad to hear these have a good formula. 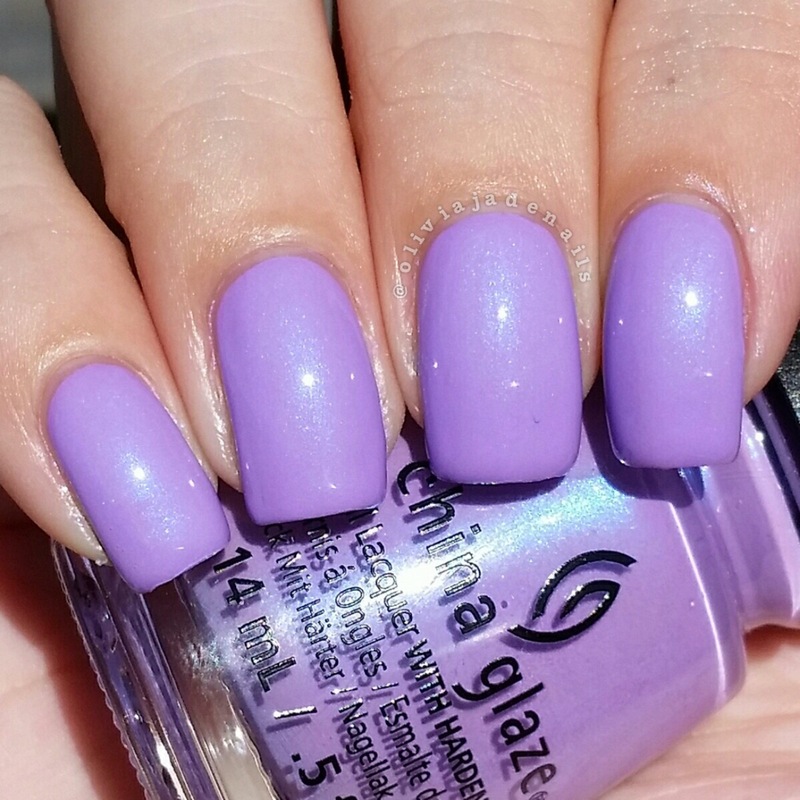 China Glaze Off Shore was a miss for me. I'm so curious about the longevity of it all? I always have the worst luck with China Glaze Neons chipping after only a day or two :( Any insight you can provide for me? I love the colors, but I hate the chipping! GORGEOUS pictures, though! !